Located near JNPT Tennis Court and Play Park, Hotel Krishna is a modern property with plenty of in-house amenities offered to guests. The rooms have regal interiors with neutral curtains and walls, and appealing wood work. These rooms are fully furnished with amenities and are immaculate, capacious and luminous. 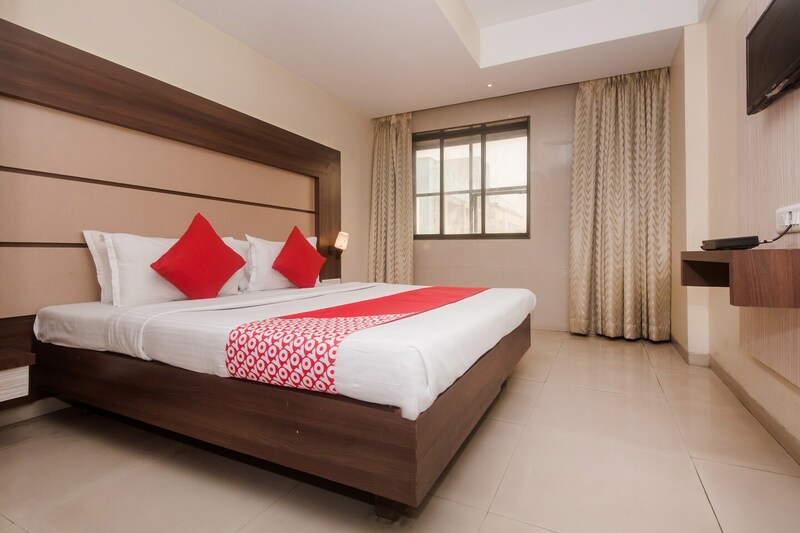 The hotel provides many other facilities such as in-house restaurant, laundry service, free Wi-Fi connectivity, CCTV cameras, and a bar. Grab a drink at the hotel bar or head outdoors to explore the area; you might happen upon your next best cafe or restaurant. The hotel is in a peaceful and quite part of Mumbai for a more relaxed and restful holiday experience.